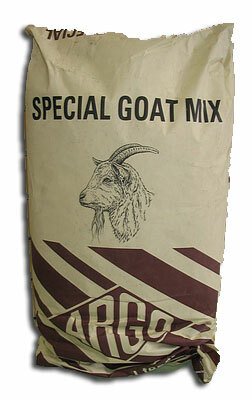 An all round goat mix for any goat. Provides a balanced natural diet with all the essential vitamins and minerals needed. Also suitable for lactating goats and kids. 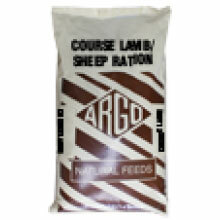 A complementary feed for all goats and kids to be fed as required with forage and fresh clean water at all times. Sunflower, Rolled Barley, Micronized Maize, Wheatfeed, Oats, Molasses, Micronized Barley, Oatfeed, Palm Kernel, Soya (produced from genetically modified soya beans), Micronized Peas, Micronized Beans, Alfalfa Chop, Hifi Chop, Linseed, Vitamins and Minerals, Glucose, Calcined Magnesite.